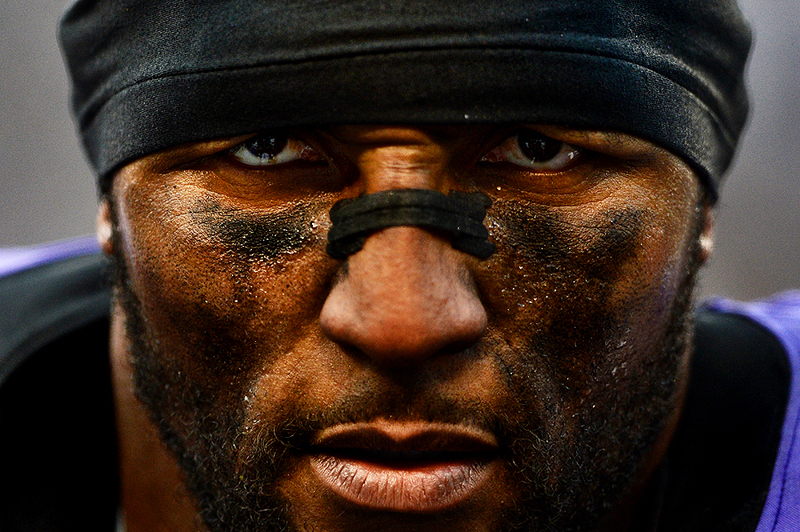 "Ray Lewis #52 of the Baltimore Ravens looks on during his final home game after defeating the the Indianapolis Colts during the AFC Wild Card Playoff Game at M&T Bank Stadium on January 6, 2013 in Baltimore, Maryland." It's that time of the year when photographers look back and reflect on the year. In 2013, between numerous editors and myself, we transmitted somewhere in the range of 6,000 edited images to a wide range of clients. While all the photographs are meaningful in their own right, combing through these frames brings back the high, lows moments, as well as, favorite images of the year. Being a freelance photographer either means: lots of variety or lots of repetition. While neither are negative, it's interesting to see what a majority of your work revolves around. Each year is different - some are news heavy - and others are strictly focused on sports. I am versatile photographer and get contacted by a range of clients year-round. Any typical year, I am shooting: news, sports, features, portraits, and everything in-between. But in 2013, it was by far one of the heaviest sports years I've ever had. Of the games and events I documented, a large amount of them were of the same teams at the same venues and for the same client: Getty Images. From the Baltimore Ravens on the field, to the Baltimore Orioles on the diamond, and drivers of NASCAR on the circuit - it was something I wasn't quite used to in terms of repetition since moving back east. It was a challenge to see these athletes, venues in a different light each and every week that was very beneficial for all involved. It made me think more and it really forced me to think outside of the box. Once again, I am grateful for my editors, teammates, and both new, and return, clients for trusting me to visually document the world for them. Without them, I couldn't be doing what I love most in this world. Thanks to my fellow photographers and competitors for always being inspirational and sharing good times, too - especially in Baltimore. I cannot thank all of the aforementioned enough - I'm grateful for every opportunity. As always, I'm excited and looking forward to another full-year of health, happiness and shooting in 2014 - and wish you all the same. "Braden Holtby #70 of the Washington Capitals in action against the Nashville Predators during an NHL game at the Verizon Center on December 7, 2013 in Washington, DC." I've blogged about superstition in sports before - and this one by Braden Holtby of the Washington Capitals recently caught my eye. 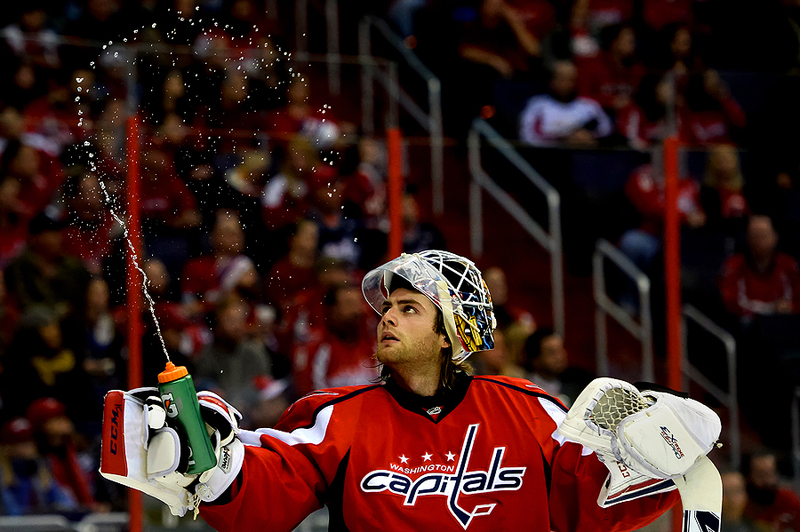 During stoppage of play, the long haired Holtby flips his mask up, grabs his classic ice hockey water bottle and squirts it into the air before taking a drink or dousing his hair. Apparently, these are one of many of what his fans call a Holtbyisms. There are many others, but this was the most visual I saw after being told about them all. Whatever others they call it, I'll continually be interested in superstition and the deeper meaning behind them. There is a reason these athletes are playing at the highest level, but does it have anything to do with their sometime quirky repetitions? "Quarterback Joe Flacco #5 of the Baltimore Ravens takes a snap against the Minnesota Vikings in the first quarter at M&T Bank Stadium on December 8, 2013 in Baltimore, Maryland." 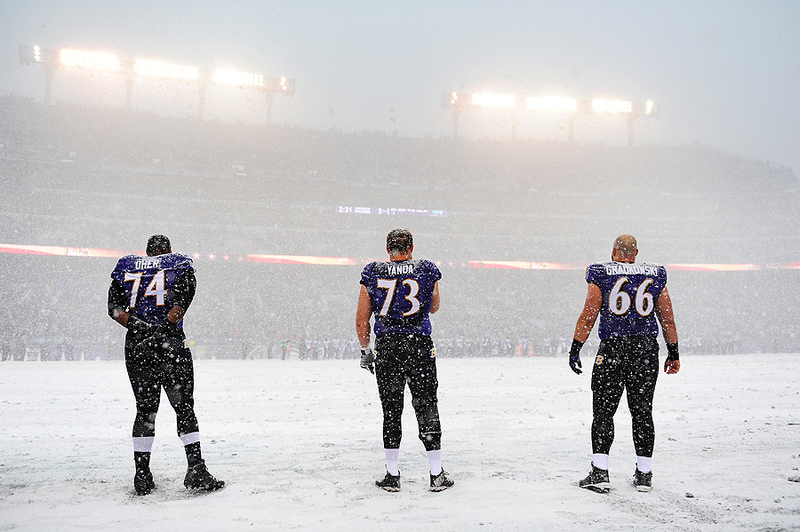 Sport photographers dream of snowy, rainy and down right terrible weather conditions. What otherwise is another game turns into a unique circumstance for both the athletes and photographers. 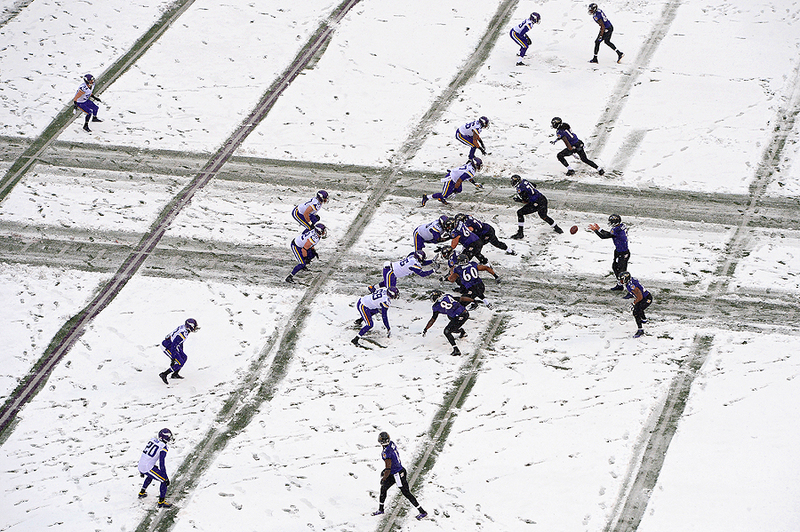 Even a little bit of snow can impact the field and actions on it. The problem with shooting in the snow for photographers is that while incredible to date, the auto-focus technology doesn't play nice with big, white snowflakes. It's a continual battle to say the least. While everyone on the sideline was challenged in the first half of the Vikings versus the Ravens game, including myself, I decided to break away from the pack and shoot from an elevated position. I knew the field would have a different feel from above, especially with the yard markers being shoveled continually. Much like the field level, snow made documenting the action difficult, even more so from above with the strong winds and at one point basically a whiteout. In the end, this was one of my favorite images from the game. Not only was it different from the rest of the photographers, but it helped show sense of place. 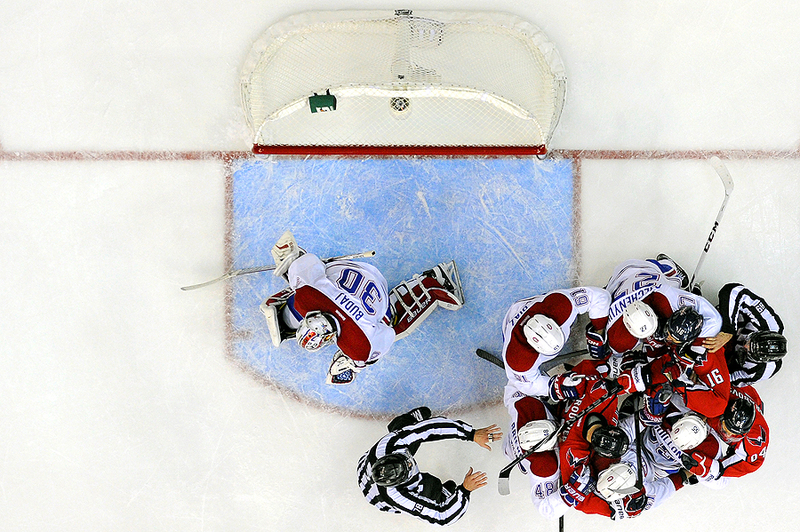 "Washington Capitals and Montreal Canadiens players push one another during the third period during an NHL game at the Verizon Center on November 29, 2013 in Washington, DC." I love clean backgrounds - and for hockey - direct overhead is the golden ticket to finding one. As in most professional sports - advertising is prominent around the arena, stadium. Hockey is no different. Promotion is a good thing for most, but visually in pictures, a lot of the time they're distracting to the main action, subject. The good thing about hockey is there are no advertisements on the ice itself. So putting a remote on the catwalk, shooting directly overhead the net always provides a nice clean backdrop. Between this above scuffle, and then game-winning goal, the remote came away with a few more than usual frames - which is always a nice addition to the main collection of images. 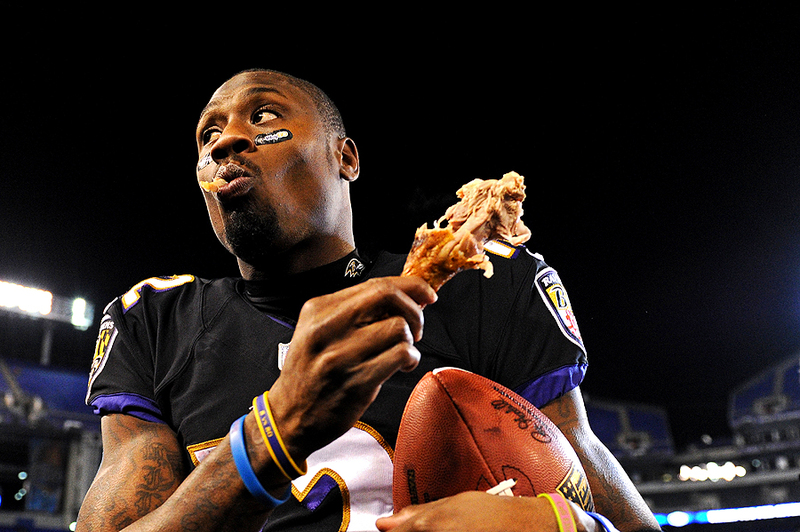 "Wide receiver Jacoby Jones #12 of the Baltimore Ravens eats a turkey leg after defeating the Pittsburgh Steelers at M&T Bank Stadium on November 28, 2013 in Baltimore, Maryland." On Thanksgiving, I spent it on the sidelines with my photographic family - teammates and competition - covering the Pittsburgh Steelers against the Baltimore Ravens game for Getty Images. While I did get to spend the early afternoon with my wife and nearby family, it was great to later get out of the house to document the big rivalry game. A close match-up, it came down to the last couple plays of the game, where the Ravens came out victorious by stopping a two-point conversion. Fitting for the day, one of the most valuable players of the game, Jacoby Jones, got to snack on some turkey before heading back to the locker room.